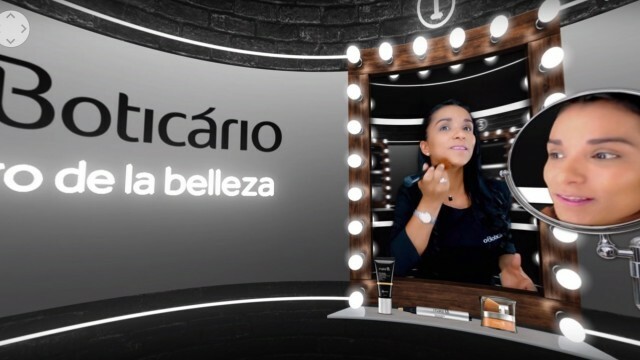 Leon Malatesta, El Hombre Del Espacio, created a 360 make-up tutorial for O Boticário, the largest cosmetic company in Brazil. 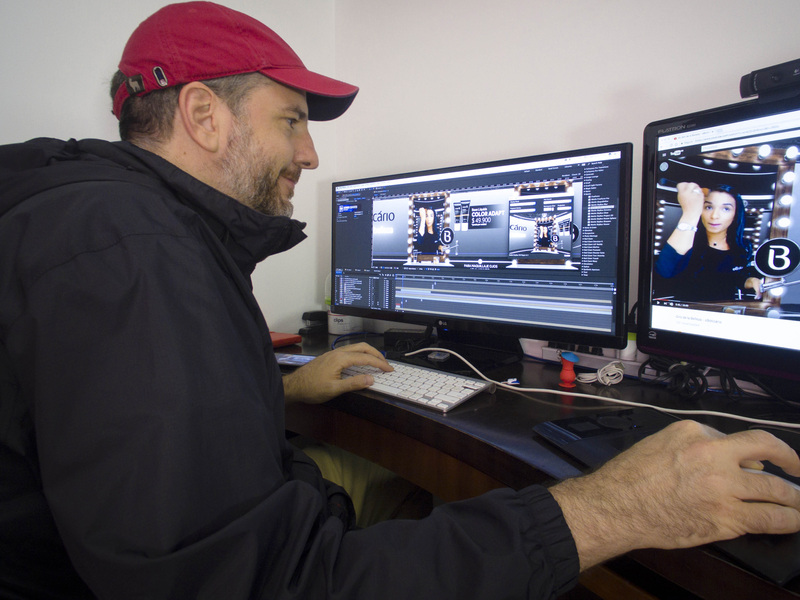 With 20+ years experience in content creation, Leon enjoys the challenge of 360 production. 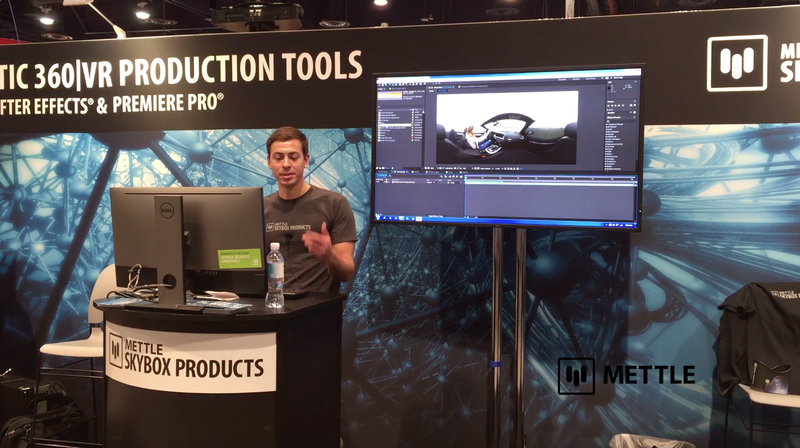 The entire 360 scene was created in After Effects using SkyBox Studio V2 and 2D footage shot on greenscreen. What makes it even more remarkable, is that Leon did the whole production himself. 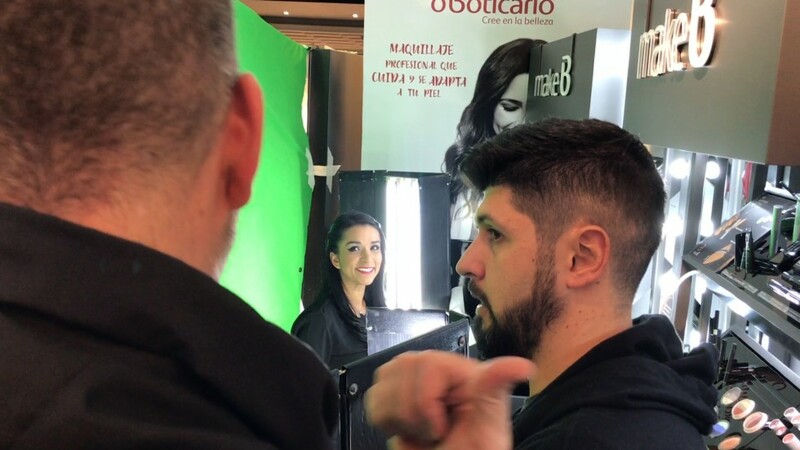 With 3,755 stores in Brazil, Portugal, Mexico, Bolivia, Peru, United States, Paraguay, Japan, France and Venezuela, O Boticário is the largest cosmetic franchise in the world. My encounter with Mettle was one of those rare moments when everything married perfectly, its platform and its tools work perfectly in an absolutely cohesive, functional way. All the content available, the tutorials, the support, everything is designed to work and besides supporting you it helps you achieve what you imagined. – El Hombre del Espacio, Leon Malatesta. Q&A with “El Hombre del Espacio”, Leon Malatesta. First thing – how did you choose the name for your company, El Hombre Del Espacio (Spaceman)? In Portuguese, (I am Brazilian), and in Spanish, there is an expression that says that “you have your head in the moon” when you have your head, your thoughts, somewhere else. All of my life I’ve heard this, that my head is in the moon, so I finally decided to open a new company that lives up to this collective perception. That is what “El Hombre del Espacio” translates to: “The Space Man”. Ha! In English we have the same expression, ie. “He’s in the moon”. And in French too, “Avoir la tête dans la lune”. Must be a condition found across humanity You’re Brazilian, but your company is in Colombia. How so? After 20 years of communication experience, working in several agencies in Brazil, for big name brands and products, my own company finally was started in Columbia. Creating content has always been my passion, and bringing a different look to the communication of a product or brand has always been part of my professional challenges, whether in the ATL or BTL environment and now, much more directed towards digital. Personal circumstances brought me to Colombia ,which also became an excellent opportunity for business, since we are geographically well-positioned, giving us the opportunity to serve both the Latin American market and North America, in addition to great competitive production costs. Equirectangular view of the 360 video. On set, shooting the talent on greenscreen, in 2D format. So how did you get into 360 production? Since 360 production has become more feasable because of more accessible technology, we began to study deeply the techniques of production and to imagine the immense possibilities of using this technology in the brand communication universe. Furthermore, we realized that most 360 content still follows the same goal, where almost all the produced content is connected to audiovisual experiments, art and sports. The communication market in general, cannot keep up with the rapid changes in technology and as a result very few brands have a clear knowledge of the full potential of content they could have with 360 media. 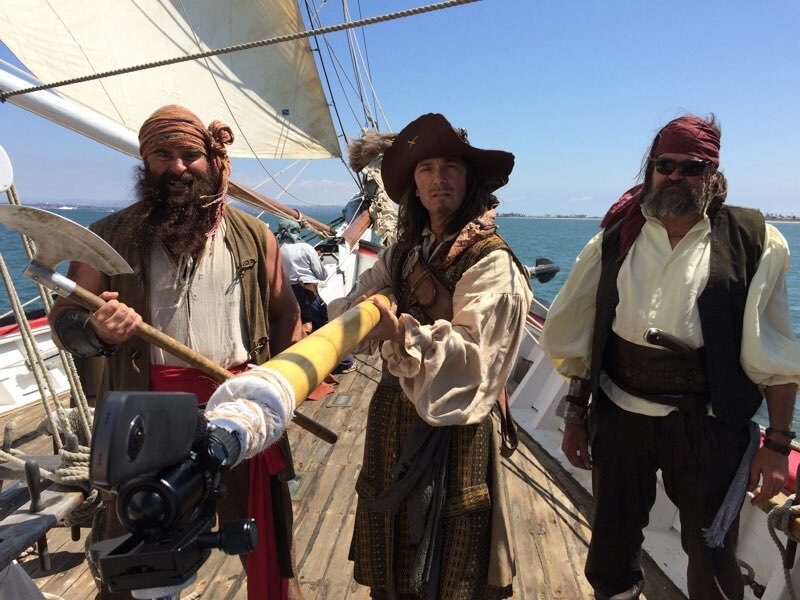 It was from this insight that we decided to create two 360 productions. 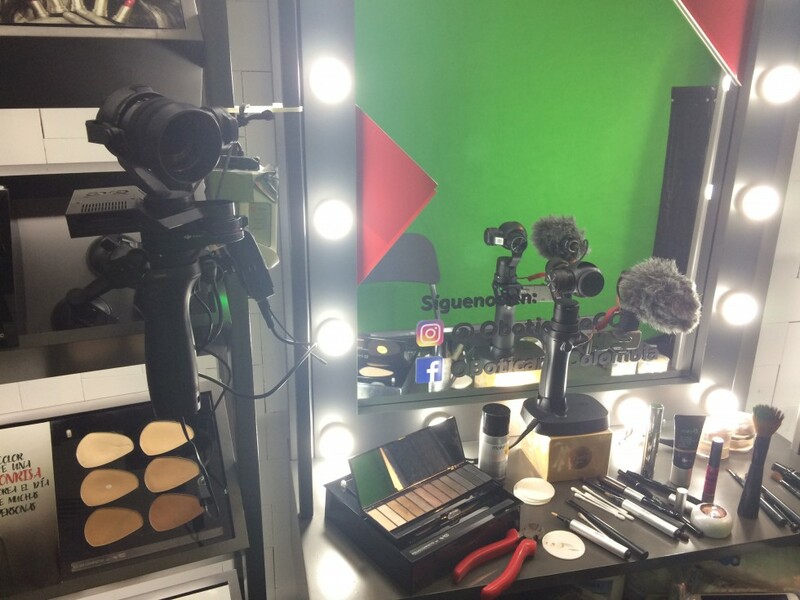 The first one was made to provoke and show to one of our actual clients, and show what this feature could do for them: El Giro de la Belleza – a 360 degree makeup tutorial. The other product is a proprietary content called TechTeen that we are launching in search of sponsorship. It is a magazine for young people, that talks about everything in their universe and subjects that surround them every day. Tell us more about El Giro de la Belleza – O Boticario. Nice play on words btw, “Beauty Spin”, references 360. El Giro de la Belleza – this content shows how the consumers can apply make-up, using our client’s products the right way. So far, there is no similar makeup tutorial on the market. We made a 360-degree environment, where the consumer can directly access the stage of the makeup that interests her most. We divided the content into 4 sets of products and phases, represented in 4 mirrors: Base, Eyes, Blush and Mouth. The brand and its products appear naturally within this environment as a sponsor of this content, and take advantage of the educational hook to expose their products and prices in a pleasant and service oriented format. 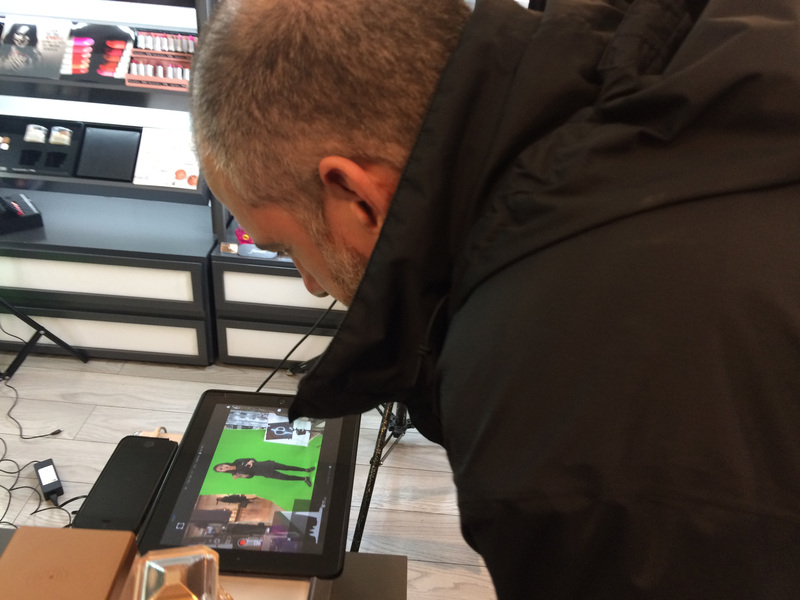 In addition to all the art direction and the virtual scenario, we still had the participation of a live presenter who not only teaches the content, but sometimes was also the subjective look of the 360 ​​camera. 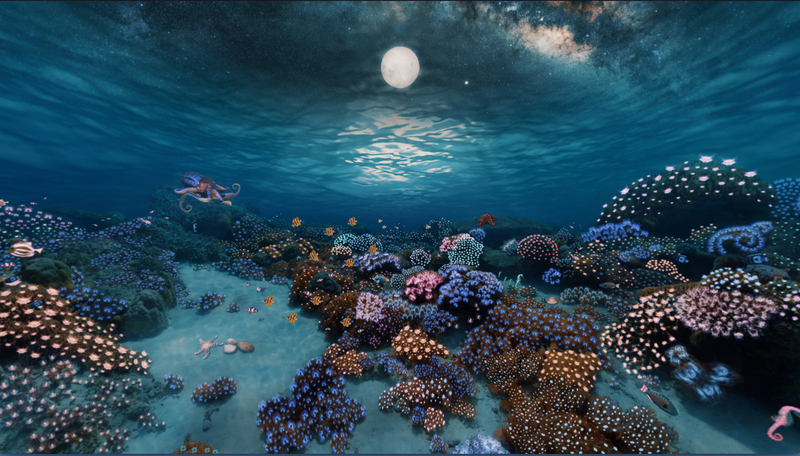 El Giro de la Belleza was built with SkyBox Studio 2, from building the 360 scene in After Effects, to the final composition with the inclusion of the character in chroma and the products. Everything we do is born with a very great concern in providing our viewers with an enjoyable and compatible experience with the content being narrated. When we talk about content in 360 degrees we have to change our regular way of thinking as 2D content creators, and include the narrative process in a new dimension that is: 360 Space. 360 content producers have to think differently, think three-dimensionally, transforming themselves into hybrid professionals, who understand beyond the traditional script, including their UX projects, the experience of use and the interface, plus the space itself as narrative character. We become a mix of video and game producer and this process of transformation is absolutely experiential. We can now bring a concept into 360, and it’s feasible within a reasonable timeframe and financial investment. 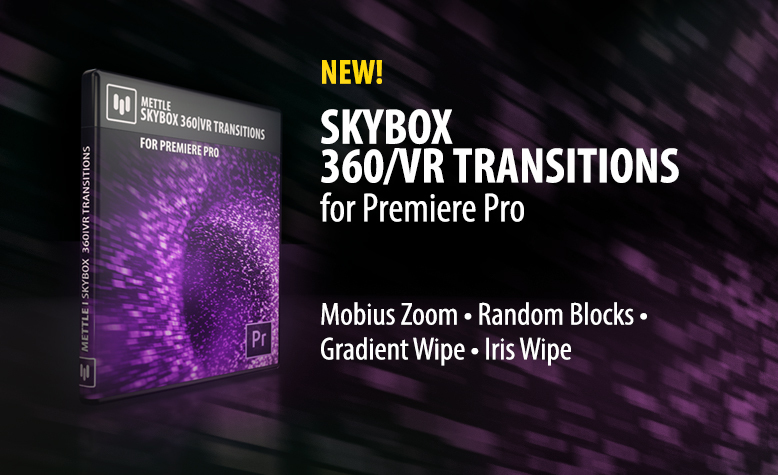 360 production in After Effects, with SkyBox Studio V2. What’s your impression of 360 production, after completing some projects? From the beginning of my career as a communicator and producer, I have always been very frustrated with technology and how often our ideas are incompatible with the means of production. My encounter with Mettle was one of those rare moments when everything married perfectly. Their platform and tools work perfectly in an absolutely cohesive, functional way. All the content available, the tutorials, the support, everything is designed to work, and besides supporting you, it helps you achieve what you imagined, makes the software acquisition investment a real bargain. And the final proof is that the entire 360 production was done entirely by: me. Leon Malatesta, El Hombre Del Espacio.